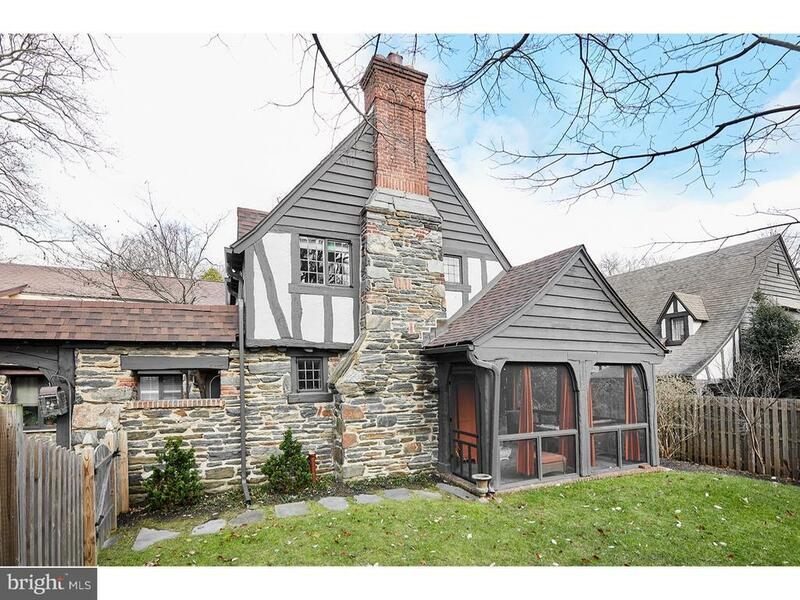 Built in 1924 with the highest quality materials - brick, stone & timber -- this Tudor home charms with its unique features and welcoming appeal. This quaint village is a special community of vintage homes, some detached, some attached, with a most convenient location in Lower Merions Wynnewood. This home features a fireside Living Room off the Entrance Hall with easy access for a screened-in Porch. The Den also opens from the hall and features a wall of windows and glass doors opening to the Terrace. The updated Kitchen offers newer neutral-color cabinetry, granite counters, a ceramic farmhouse-style sink and an adjoining Pantry with wet bar. The Dining Room features painted flooring, a wall of windows and high hat lighting. A partial, unfinished Basement provides great storage. The Master Bedroom boasts gorgeous hardwood floors, beautiful natural light through multiple windows and direct access to the Master Bath. The Master Bath is handsomely updated with marble tile flooring, a glass stall shower & large soaking tub. The sunny grounds of this right-sized home are lovely with gardens full of blooming shrubs and perennials. A large maple tree offers summer shade and autumn color.